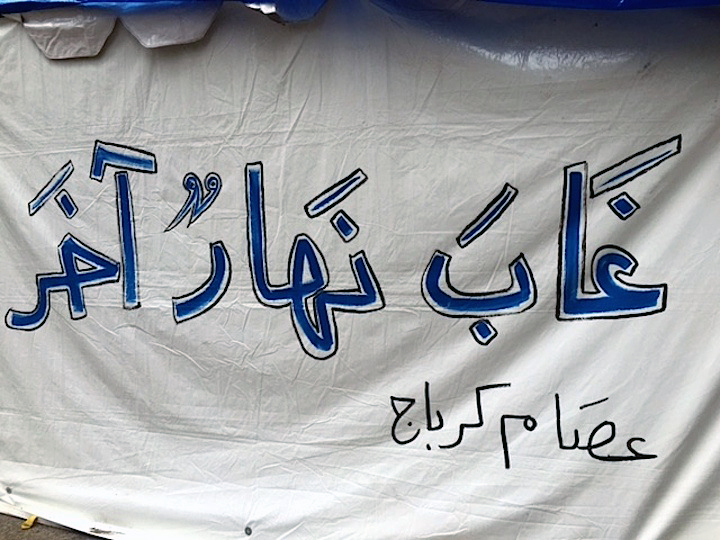 Since 2011, over 10 million Syrians have been uprooted from their homes. 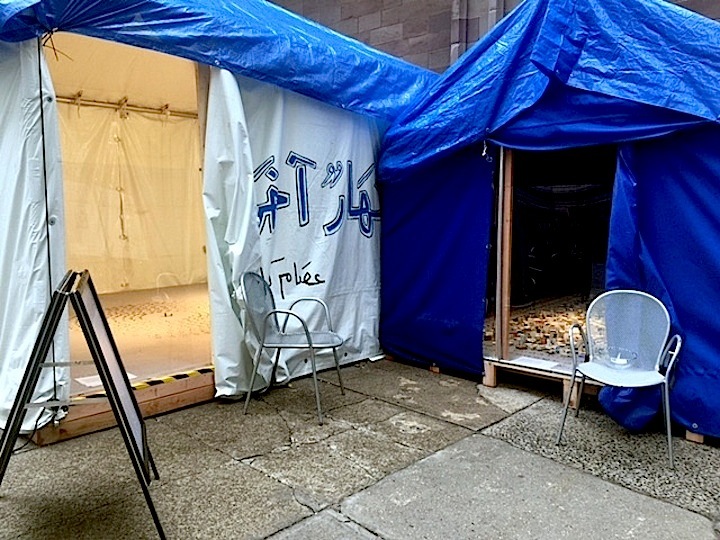 Another Day Lost, a mixed-media installation by Syrian UK-based artist Issam Kourbaj, offers a powerful look into the crisis crippling his homeland. 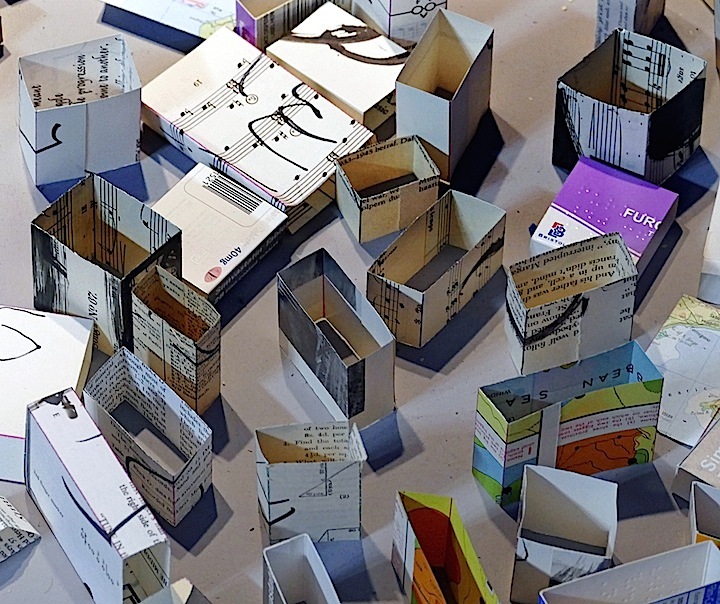 Inspired by the aerial imagery of the refugee camps in the Jordanian desert, the artist fashioned his installation — reflecting on the lives of refugees living in tents — from waste materials, such as medicine packaging and discarded books. 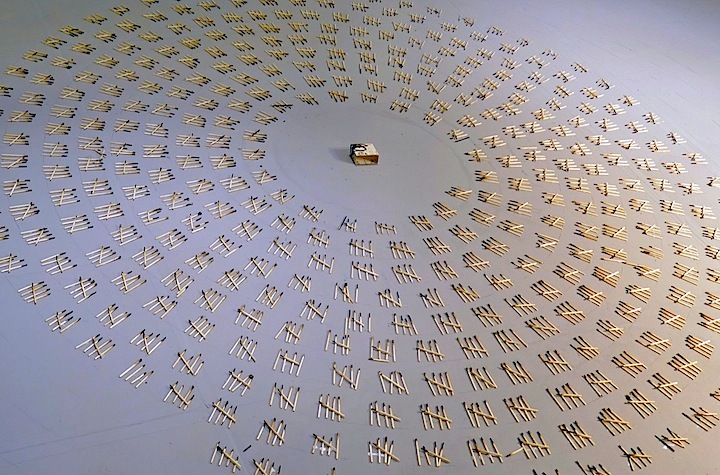 Each day of the installation, another match is lit and then blown out to mark one more day of Syria’s devastation. 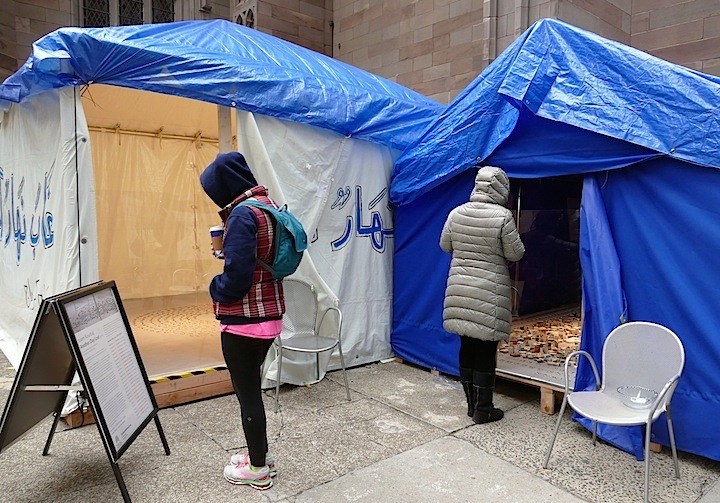 U.S. residents visiting the site are invited to compose and electronically submit a letter to their elected representatives encouraging them to support increasing the number of Syrian refugees admitted to the U.S.
On the grounds of Trinity Church — at the intersection of Broadway and Wall Street in Lower Manhattan — Another Day Lost can be viewed through January 5th. Note: This post was written in collaboration with Kristin L. Wolfe.